Irish foods are tasty and wholesome. When we Irish move away from home there are some very specific food products and treats we sorely miss. All the wonderful international fare in the world just cannot replace our traditional Irish foods. 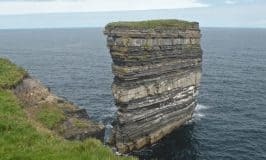 Are you Irish born, but living in America and every now and then get a hankering for a taste of Ireland? 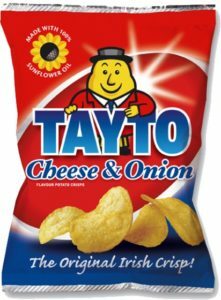 A bag of Tayto cheese and onion crisps would truly satisfy your Irish taste buds. 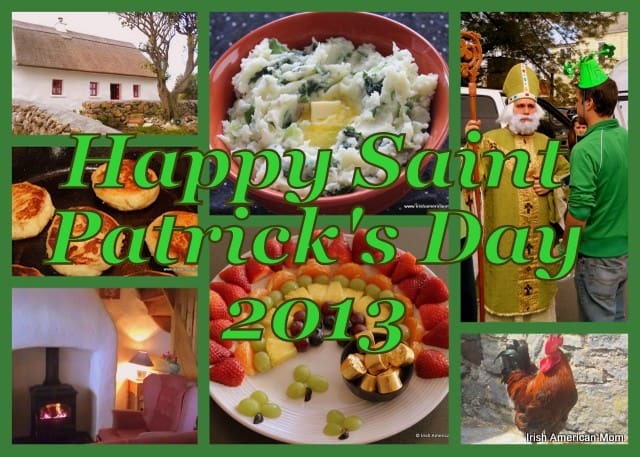 Or perhaps you traveled to Ireland and fell in love with Irish food. Do you long to bake some authentically Irish brown bread to accompany a steaming bowl of your favorite soup? If so, let me introduce you to the wonderful selection of foods from Food Ireland. 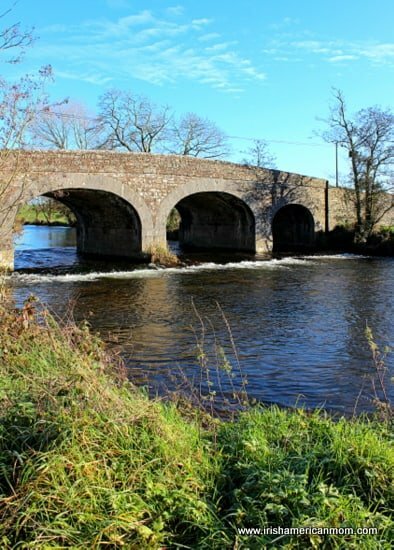 They import many of Ireland’s most loved brands and ship throughout the United States. 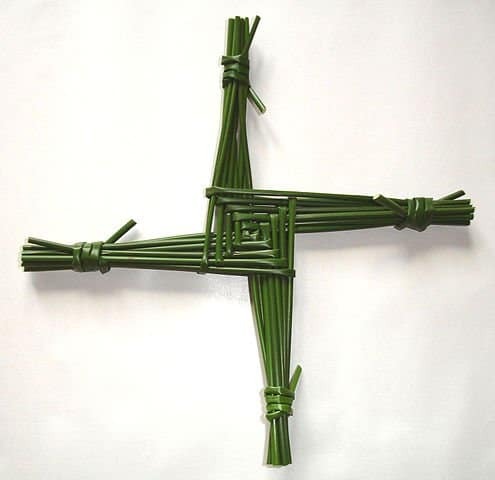 On this page I’ve carefully chosen some of my favorite Irish products which you can purchase through the links provided. Please note, these are affiliate links which means I will earn a small commission should you choose to buy any products through these links. The price you pay will not change. 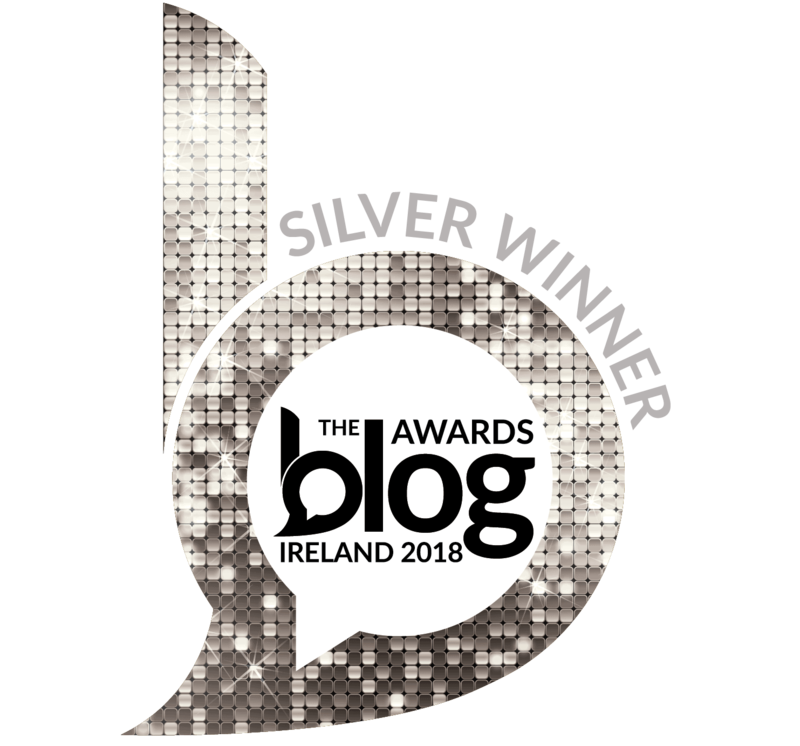 Thanks a million if you choose to use these links for any of your purchases from Food Ireland. I really appreciate your support. Simply click on a picture or a product title to link to the Food Ireland page for each product. 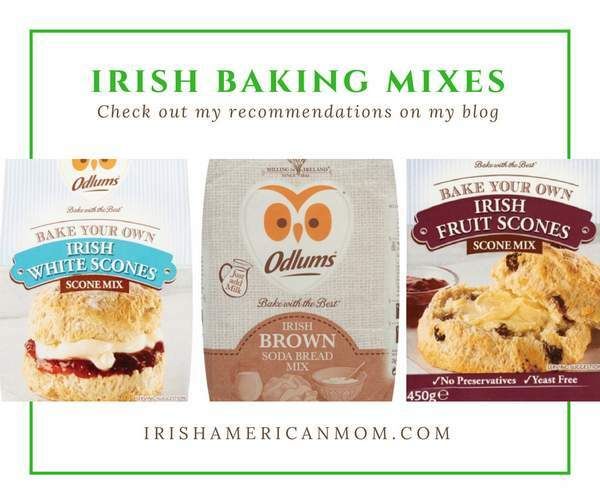 Readers frequently email me with questions about Irish baking products, especially baking mixes for brown bread, soda bread and scones. Food Ireland stock the perfect solutions for all your Irish baking needs. 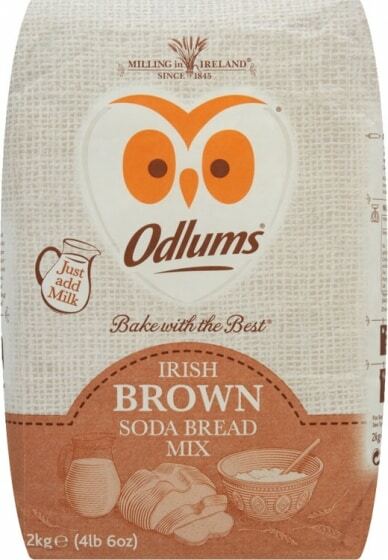 This easy to bake bread mix is made by Ireland’s most famous producer of baking flour, Odlums. All you need to do is add milk, because all the measuring and mixing of the other ingredients has been done for you. Brown bread is the perfect accompaniment for soup, or for making delicious Irish sandwiches. If you fell in love with brown bread while vacationing in Ireland, and long to bake brown bread in the United States, then this is the mix for you. This is a 2 kg packet and will make 4 loaves of Irish brown bread. Tea scones are a favorite Irish treat with a cuppa tea, and for anyone who has ever been to Ireland, you know how these signature scones are widely available in tea houses and cafés throughout Ireland. Now scone baking is not simple and not a task for the novice baker. 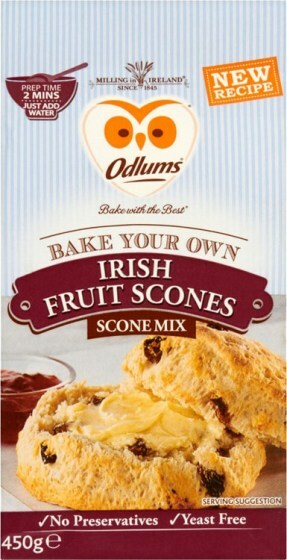 My made from scratch recipe is a great way to go, but if quick and easy is what you are looking for, then you can’t go wrong with this simple Irish Fruit Scones Baking Mix from Odlums. “Real Scones. Real Quick. No baking skill required!” That’s how these perfect Irish raisin scones are described. So don’t worry if you have no idea how to make scones, simply add milk, form the dough, then press it out on a floured work surface before cutting out your scones to bake. Simple as that! Irish soda bread is a traditional Irish bread, made by generations of Irish mothers and grandmothers, and I suppose a few fathers too. 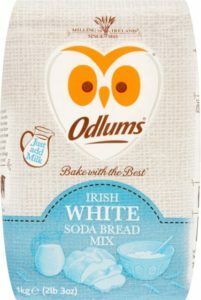 My from scratch Irish Raisin Soda Bread recipe requires a few steps and a little bit of baking skill, but if you want a simple, just add milk, baking mix then this complete Irish White Soda Bread Mix from Odlums is perfect for you. It’s one of the wide range of baking mixes stocked by the good folks at Food Ireland. 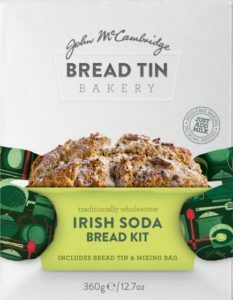 It works out more expensive than baking from scratch, but if quick and easy, with reliable results is what you’re looking for, then I highly recommend this soda bread mix from Ireland. These mixes are made with flour ground from Irish wheat which is softer than American flour and produces much better soda bread, with a softer crust than when baking with all-purpose American hard wheat flours. If you would like to bake your own Irish Brown Scones, which are a wholewheat soda scone, then this scone mix makes the whole process very quick and simple. 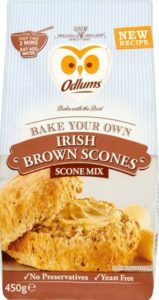 Odlums Mills produce Ireland’s favorite baking flour and this mix is imported from Ireland by Food Ireland for distribution here in the United States. These scones are delicious with soup, transforming a simple bowl of soup into a delicious meal, especially perfect for lunch. Slathered in butter these brown scones are extra nice and have a soft textured crust. 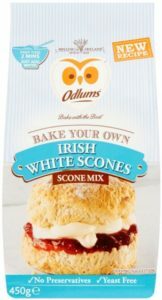 Producing a soft crusted scone is difficult but this mix is a wonderful solution since it’s made with the perfect Irish flour for the job. If you prefer plain white scones without any raisins and love to dollop jam and whipped cream between those scones then this is a lovely, sweet scone baking mix for you. 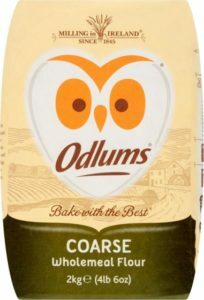 Once again, the good folks at Odlums have done all the weighing and measuring, adding the perfect blend of raising agent and dry buttermilk to ensure your scones will rise like a dream in a hot oven. You simply add milk to this mix, form the dough and turn it out onto a floured surface. Minimal kneading is required before cutting out the scones. All of the baking instructions are included on the packet. If you like easy baking, then you can’t go wrong here. Now this little bread baking kit comes with its very own baking pan or bread tin as we would say in Ireland. This is a modern take on more traditional brown soda bread mixes and it includes linseed, jumbo oats, sunflower and pumpkin seeds. A nice healthy mix of seeds and oils to take this wonderful Irish bread to another level of excellence. Everything you need is in the box, even the baking tin, so this could be a perfect gift for an Irish friend. It too is simple to bake. Just add milk, mix and bake. That’s all there is to it. Plain white flour from Ireland. This is Ireland’s all purpose flour, but it’s made with soft Irish wheat which is similar to the soft winter wheat grown in Tennessee to produce White Lily flour. Irish and British baking recipes will turn out much better using this Irish flour than with American all-purpose flour which is milled from a harder husked wheat with extra protein. American cake flour is also closer in texture to Irish flour than American all-purpose flour. 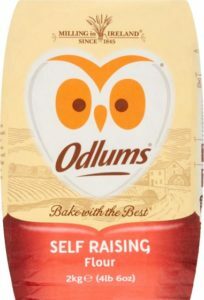 All of Odlum’s white flours are unbleached. Self Raising Flour, or self-rising flour as we say in the United States, is simply plain unbleached cream flour with added raising agents. Baking powder is usually the raising agent of choice. It is suitable for sponges, scones and tea breads. This flour is also enriched with vitamins to help make it more nutritious. If you’ve ever stayed in an Irish bed and breakfast or an Irish hotel you probably had a good Irish breakfast to start your day. 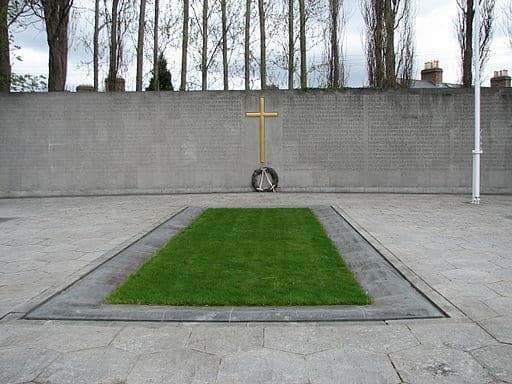 An Irish fry consists of Irish sausages, rashers or Irish bacon, black and white pudding, fried eggs, and fried tomatoes. 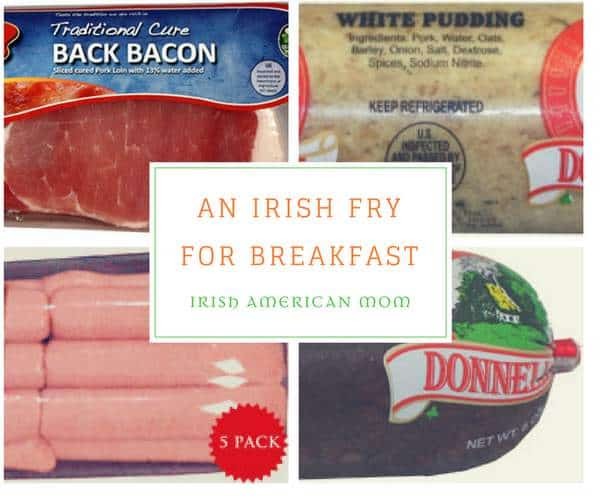 Food Ireland ships sausages, rashers and puddings throughout the United States, but they do recommend 2 day shipping. Mailing of these perishable items is from Mondays to Wednesdays to prevent any meat products sitting in a hot warehouse over the weekend. They are shipped on ice, but that only lasts so long, especially during the hot summer months. You can check out their shipping policy here. Donnelly’s famous Irish sausages are made in the USA using a tried and true Irish recipe. They are great for special occasions when an Irish breakfast is in order. You can spoil a loved one with a taste of home on their birthday. Irish people love to start Christmas Day with a good fry, and sausages are perfect for weekend breakfasts. If you are looking for real Irish rashers then Donnelly cured bacon is perfect for you. It’s imported from Ireland where the pigs are sourced only from Ireland. The Irish cured pork loin is imported then sliced in a packing facility in the US. This product cannot be shipped outside of the United States. Irish black pudding is also called blood sausage by many Americans and is the new superfood because it is high in iron and other nutrients. This high quality Irish style black breakfast pudding is made in the USA using Irish Ingredients. This product cannot be shipped outside of the United States. Irish white pudding is also a savory breakfast food and does not resemble an American pudding in any shape or form. When Irish people have pudding for breakfast it is these sausage like savory puddings that are served. This traditional farmhouse style Irish white breakfast pudding has a delicate taste and a crumbly texture. Irish people tend not to use ketchup on their fry, but instead choose a brown sauce. HP sauce, the original brown sauce from England, is the winner in our house. It is akin to steak sauce, but has its own distinctive flavor that Irish people love, especially when making a sausage sandwich. Irish people love to have a cuppa tea and a biscuit. Now in Ireland what is known as a biscuit is a cookie in the United States, and what is known as a biscuit in the United States is a scone in Ireland. Are you confused yet? Anyway whatever kind of biscuit you crave Food Ireland has got you covered. They have digestives, rich tea, Kimberly, Mikado and chocolate Hobnobs too. You can check out their complete selection of Irish biscuits in their cookie section. Here are some of my favorites from home. If you’re going to enjoy a nice biscuit from home then a good cup of Irish tea is what you need to go along with it. None of those flavored teas, or orange pekoe that’s sold under the guise of good black tea here in the United States will do a true Irish tea drinker. 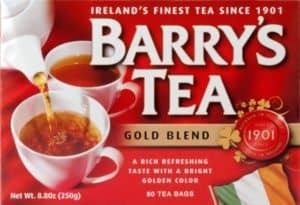 Since my family all hail from County Cork I am very partial to a cup of Barry’s tea. In fact, it’s the only brew for me. And luckily, Food Ireland keep Barry’s tea bags in stock. Tayto cheese and onion crisps, my favorite snack ever. I love a bag of Tayto and a Tayto crisp sandwich with a cuppa tea is what I first dig into when I return to Ireland. And there you have it! 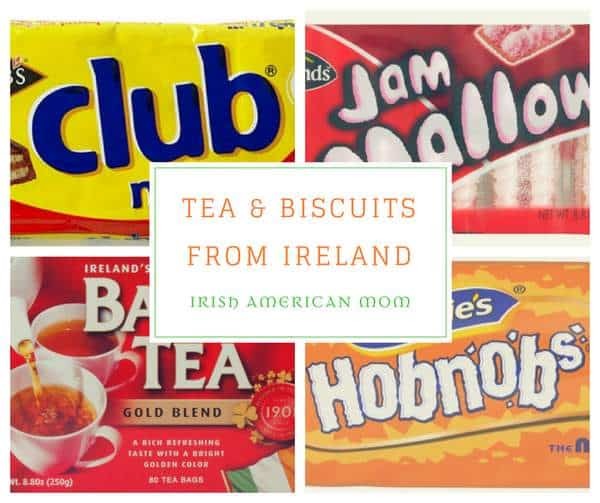 A quick round up of some of my favorite foods from Ireland, that thankfully are available for purchase online in the United States. I hope this review is helpful and that you find what you’re Irish taste buds are craving.